A spectacular new residence situated on a gated estate style property of over 9,300 sq ft. This breathtaking home offers 6 bedrooms and 7 baths. 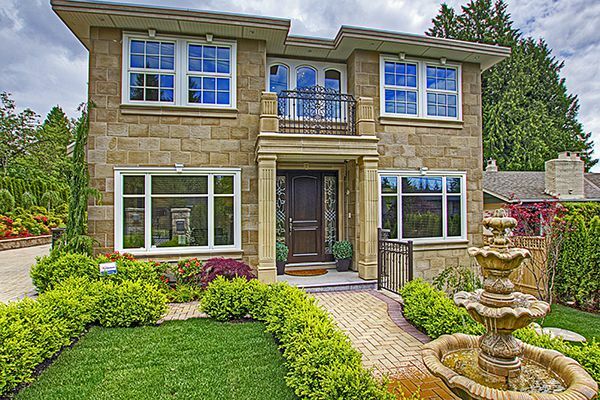 Exquisitely built with the finest finishings imaginable including stone tile exterior, walnut floors, wood windows, solid wood doors, radiant heat and AC, Schonbek Crystal chandeliers and extensive custom millwork throughout. Gorgeous marble and natural stone in baths and entry. The best of technology with custom media room, SMART HOUSE wired, surround sound stereo speakers inside and out, and full security features including 4 cameras. Sensational custom kitchen with butler’s pantry, separate prep/cooking kitchen and Wolf and Subzero appliances. Beautifully manicured garden featuring 3 hole golf putting green and water features in front and back. Close to all the best schools including UBC, Crofton, St. Georges and Southlands Elementary school. This is a rare offering for the discerning buyer.